Gorgonzola Feminized is not one of the fastest growing. In the beginning, she looks like an Indica and after a while, she transforms into a beautiful Sativa-looking plant. The buds that she produces are hard and firm, therefore, it's a must to grow her at least once. Within 9 weeks she will be done growing and her yields will not disappoint you. AMS is the supplier of the best weed seeds for all levels of expertise in growing. We serve you with enthusiasm and we are working hard to make you satisfied. ‘Seeds delivered quickly. All 15 seeds have germinated and are growing well’’, a customer from the UK said. Read more reviews on the independent review website Kiyoh. And feel free to leave a comment yourself. AMS provides excellent service, we are always there to answer your questions or give advice. 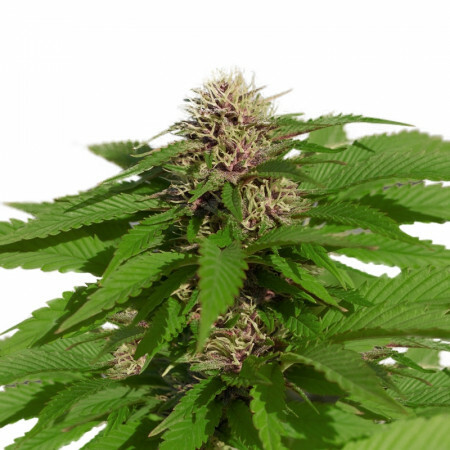 Do you want to know more about Gorgonzola Feminized seeds? Other marijuana seeds or products? Our customer support team is available to give you expert advice. Send us an email or fill out our contact form and we will get back to you within a day. Do you want to know about the flowering time, THC level or yield of your Gorgonzola seeds? In our marijuana seeds table, you find all the seeds we have and their specifications. It shows the growing difficulty, which can be helpful when you’re just starting out. The table may also help to pick your next growing project, you’ll find the seeds that suit your wishes easily. Amsterdam Marijuana Seeds offers more than only weed seeds. You can order fertilizers, which are vital to growing the strongest plants. We have vaporizers as well. Vaping is a safer and healthier way to get stoned. For our master growers, we have some cool T-shirts. And one ultimate Dutch product you have to taste is our delicious hemp cheese. Order the coolest hemp products online at AMS. Gorgonzola Feminized has a phenomenal sweet Sour Diesel flavor with a Cheese aftertaste. How could it be different? Gorgonzola weed is the result of mixing Sour Diesel and Cheese weed. Be prepared to enjoy a lovely happy stoned high that kicks in after 5 minutes and stays with you for a pretty long time. All caused by the high CBD- and THC-levels. Sour Diesel and Cheese weed are both two famous strains, worldwide known and wanted for their relaxed, happy effects that gently ease you into a blissful state of mind. As well as the scent: a strong and sour aroma with an earthy edge. Mixing these two gives best of both worlds. You will experience it in the taste, aroma and the happy effect of Gorgonzola marijuana. Combining two strains with a strong and sharp, sour aroma, Gorgonzola Feminized is doing justice to the name. Gorgonzola weed is great to smoke together with friends and for medical use as well. As a fast-acting strain, Gorgonzola delivers you lots of energy and dreamy cerebral effects. The same effects that’s pushed the parents of Gorgonzola marijuana to their worldwide legendary status. Gorgonzola marijuana seeds are developed by the best Dutch growers of Amsterdam Marijuana Seeds (AMS). As one of the best seed banks, we are continually searching, selecting, develop and improve the best marijuana seeds. We deliver high-quality seeds only, so if you order Gorgonzola seed, you can assume they will all germinate. If not, you will receive new seeds that will grow out to a strong strain. Once you ordered your beloved Gorgonzola seeds, we make sure you receive your package within 14 working days by using registered mail. AMS ships worldwide and guarantees delivery. Your order will be packed discrete: there’s no marijuana-related content on the package, so you don’t have to worry anyone finds out what’s growing in your basement. Keeping seeds is often legal, but growing strains is not, in most countries. Gorgonzola weed can grow really bushy. You need to make sure they have enough space. Indoors Gorgonzola weed stretches out to 1 meter. But outdoor, catching sunshine, Gorgonzola Feminized can reach 2.1 meters. Treat your strains with enough water and your plant will grow as big and strong as they can get. While growing Gorgonzola you might need a filter for the strong scent. Worldwide sales of feminized seeds, like Gorgonzola Feminized, have been increasing each year at a steady pace. More and more growers decided to start using feminized marijuana seeds. These cannabis seeds are modified to produce only female plants and the buds you are craving for. Amsterdam Marijuana Seeds offers over 50 different Feminized marijuana seeds. Do you want to try out the tasteful and unique Gorgonzola weed? Order your Gorgonzola seeds now online at AMS. Did you know we have always special offers for our customers? For example, with every purchase at AMS you get free weed seeds. Now and then you can enjoy special discounts up to 50% on selected weed seeds every week. 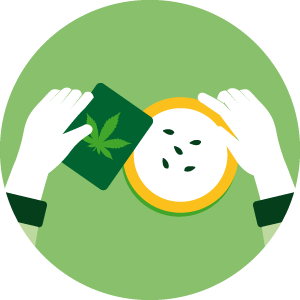 Want to stay up to date about Amsterdam Marijuana Seeds? Sign up for our newsletter and follow us on Facebook.